Here are some instructions on how to wear and clean your retainers. Wear your retainers on a part-time basis. By part-time we mean 12 hours a day. 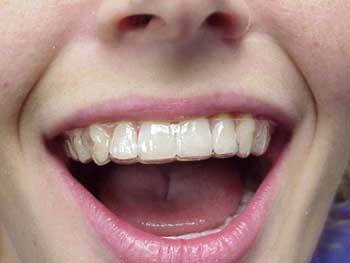 Our recommended time to wear your retainers would be after dinner and at night to sleep. There should be no reason for your retainers to leave your house unless of course you are going away for the night. To keep your retainers clean just soak them in a denture bath every morning and throughout the day until you put them back in your mouth. Fixadent and Efferdent denture soaks work really well. It is really not necessary to brush your retainers if you are soaking them with a denture cleaner. Remember to keep your retainers away from pets. They would love to chew on them so keep them in your retainer case or in the denture bath at all times when they are not in your mouth.